We all need a little ‘me’ time sometimes, and a holiday is without a doubt the best way to pamper yourself. The only thing is, as airlines ramp up their baggage charges my pile of packing only seems to get bigger and bigger. Why sacrifice your health and beauty comforts at the very time when you should be looking after yourself most? Time to go compact on your essentials with my list of perfectly portable travel companions! No ingrown hairs, no razorburn, only silky smooth skin wherever you need it! 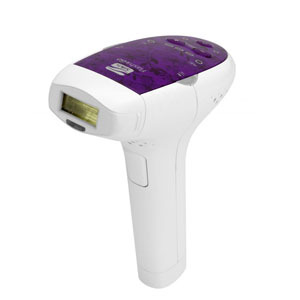 An innovative light-based device for permanent hair removal on the face and body, cleverly designed to allow you to zone into any area requiring treatment, wherever you are. Summer skin starts here.The Mia 2 has gone a step further than the already super-portable Mia, coming complete with a protective & hygienic travel case. Don’t allow blemishes to blemish your holiday. Tanda Zap is a blue light therapy spot treatment that can fit in your bag to take with you anywhere. All the styling options you could ever need.With 7 different attachments, this hair styler a suitcase must-have. Long flight? While away those hours in the air with you very own in-flight shiatsu massage. Containing three beauty essentials that fit neatly into the most compact of handbags, this elegant kit makes personal styling effortless. Healthy, glowing skin -brought to you by Elle Macpherson herself! Whole body exfoliation and improved circulation to keep you looking your best. Aches and pains are the last thing you want during your all-too-precious ‘me time’. Get rid of pain wherever it’s bothering you in a way that’s convenient and drug-free.